March 13, 2015 -- Progress Thailand The Massachusetts Institute of Technology (MIT) is a world renowned name in research and development in all fields of technology. It has a rich history of not only teaching technology, but also driving it. It has participated in everything from the development of systems used to bring humanity to outer space, to competitions regarding the "inner space" of molecular biology through the annual and increasingly popular iGEM competition. Currently, their MIT Media Lab is involved in a project known as Changing Places. This project essentially is the rethinking of and experimentation with new concepts regarding how we live and work in cities. In covers everything from living spaces to transportation and even includes research into how to produce food locally, within urban sprawl. While some of the ideas they are developing may end up informing real-world solutions in the cities of tomorrow, what is more important to take away from Changing Places is the concept itself of people with different backgrounds cooperating with one another to think of practical solutions we can use to shape the environment we live in, and in particular, shape it into the sort of environment we would actually enjoy living in. Changing Places is broken down into several sub-projects, and each requires a multidisciplinary approach in order to produce results. In fact, looking at any one of MIT's working groups, we can see what looks like a purpose-driven makerspace. In other words, we see labs bringing multiple skills together to solve a particular problem. The CityFarm project seeks to make urban agriculture an efficient means of food production. Projects like MIT Commuter Common, Mobility on Demand Systems, and Spike: Social Cycling, all seek to improve transportation within cities. Keeping in mind the sort of practical problem-solving MIT's various labs are working on will eventually produce tangible systems people will use each day, even if they are open source systems, there is potential for local businesses to spring forth to eventually implement these solutions. 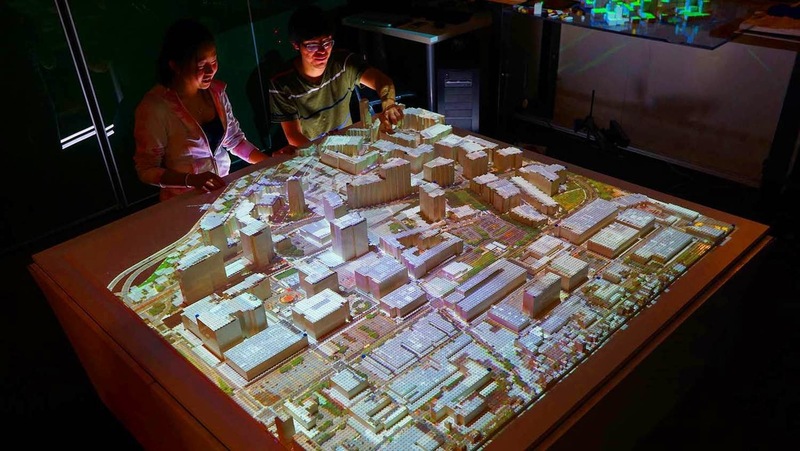 Rather than MIT creating one system to be implemented in cities around the world. wouldn't it be nice if makerspaces around the world conducted their own versions of Changing Places, responding to local problems with a local perspective, and producing local solutions that benefited local people and small businesses that would eventually implement them? It would be a tremendous benefit for all cities to have something like Changing Places working on these problems. Many of the projects under MIT's Changing Places attempt to share their research, just as many makerspaces do. Traditional agricultural research is extremely opaque and difficult to access. The Open Agriculture project seeks to change that by providing a platform for global researchers to share their data, discuss their findings, and work to advancing the common cause of improving crop yields globally by making all the world’s agriculture information open and accessible. MIT already has provided a tremendous amount of its courses for free through its MIT OpenCourseWare initiative, so the Open Ag Project's planned openness is a continuation of this shift toward increased collaboration. UrbanAg BKK is a cheaper, more accessible urban agriculture project based on MIT's CityFarm being developed right here in Thailand. With a living example of collaborative groups working together to shape the cities of tomorrow, makerspaces can follow through with their own versions of Changing Places. While the projects might not be as high-profile or as well funded as MIT's, they are no less likely to make an impact. In Thailand alone, would building a better electric bike or an open-source urban agricultural system be beyond the reach of Bangkok's makers? 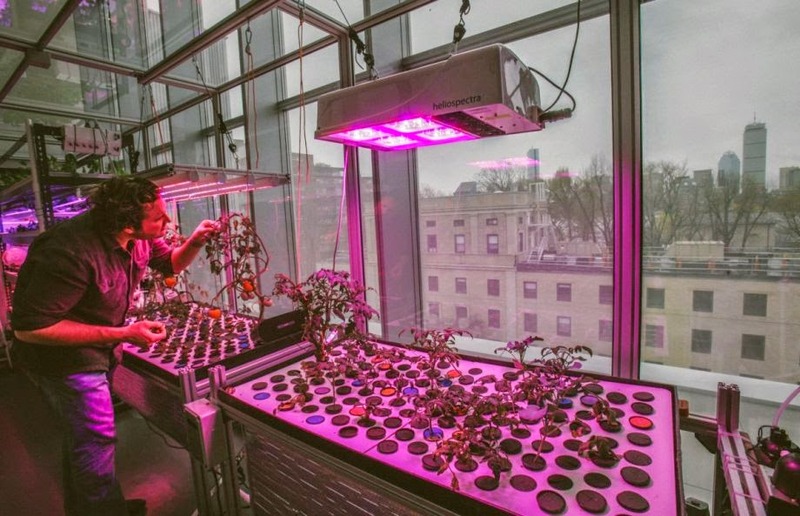 Beyond cities, there are those already working on technologies and systems to improve agriculture, as we've often covered. While many tangible innovations are emerging from MIT's Changing Places, perhaps the most important one of all is that of changing one's mindset. This happens when one realizes they can get hands-on literally in solving real world problems and shape their world today and tomorrow through technology, rather than waiting for others to do it through policy. By formally establishing groups dedicated to this process, we create much needed local institutions that can organize in ways individual innovators and inventors cannot. Will we see unique projects like those being worked on at Changing Places springing forth from Thailand's growing maker community? We think it is only a matter of time.